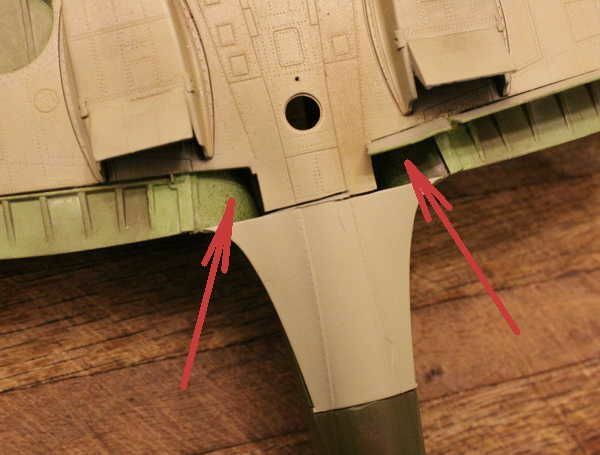 The reason for the lack of pictures is that the pilot's manual for the Spit called for the flaps to be up unless actively deploying them on landing. When down they blocked the air flow from the radiators and that could lead to overheating of the engine in a very short time. 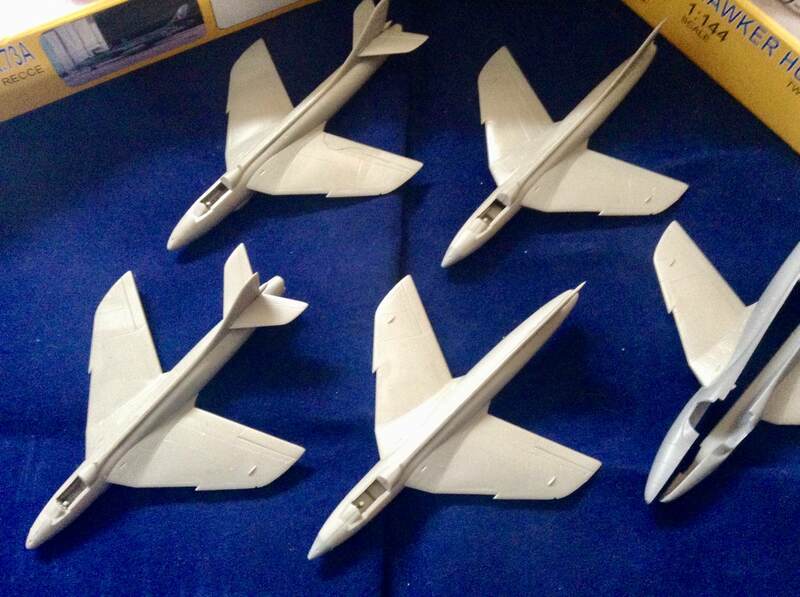 You might just want to pose them up, which would be more realistic and solve your gap problem. Makes complete sense - but . . . gotta do it anyway. I'm sure you've seen how great the dive brakes look on a Dauntless when they're open. Let's say they're doing maintenance on the flaps of the Spit or the plane has just now landed and the flaps have either not yet been reset or the pilot forgot. Gotta do it - they look just too nice not to. ILLOGICAL, . . . Illogical, . . . illogical, . . . . .
Just to add to this, if a pilot was seen taxiing a Spit with the flaps down he would find himself on report. 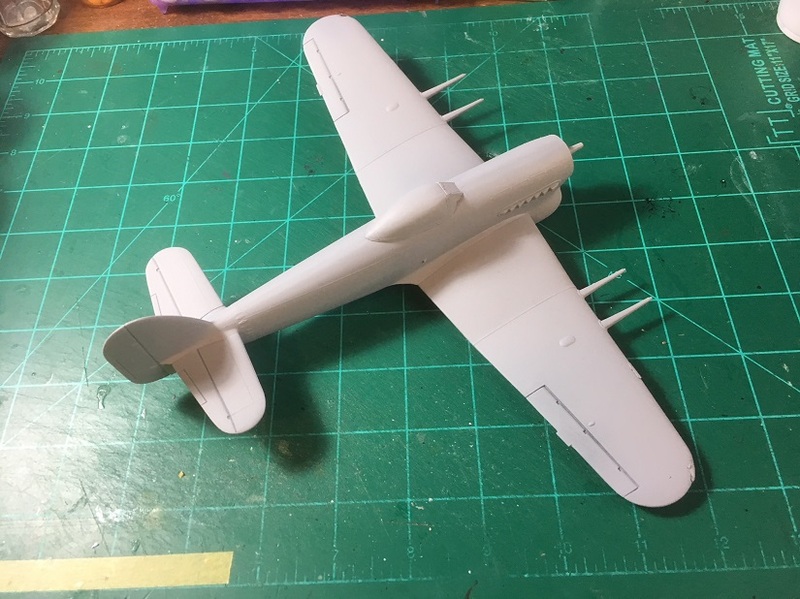 I’ll get a photo up of my progress tomorrow, oh I changed subject and started before taking photos however I do have an Aeroscale staff member who was present when I started if that counts and I’m building five aircraft. Michael, consider yourself as "On Report". Yes, Sir! Will do Sir! In recent times I have "caught flak" for telling fellow modelers "certain types of RR bridges CANNOT be built on a curve". Or "your bridge would never hold a Tiger Tank" and most recently "your scratch built compression roller has such a short towing tongue the tractor pulling it could never possibly ever make a turn! So I guess it is only fair that I now receive some "friendly fire" in return for a change. Not gripe'n just stating fact. Michael as you stated, you could always do it under maintenance with an Erk carrying out some adjustment or some such. 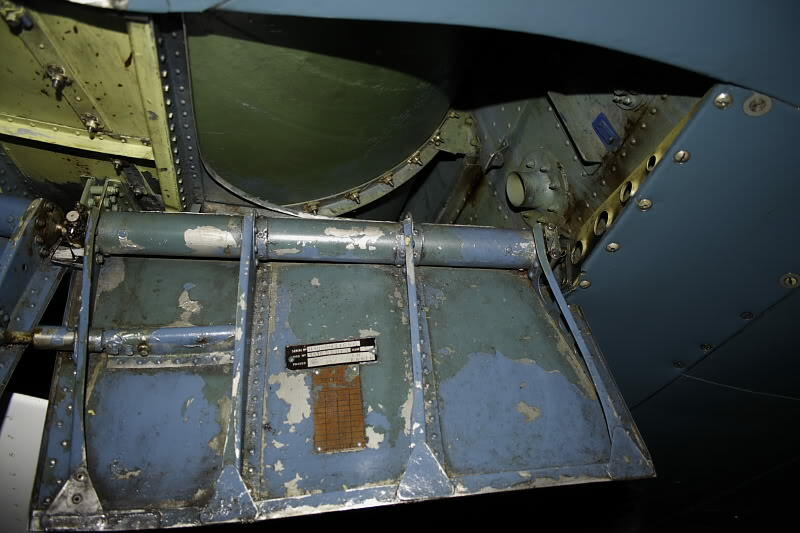 Here are the two openings under the inboard flaps which I will now find a way to close up. As you can see I already have the port side flaps installed. i would agree. less work to do. It seems that I am always choosing the path that involves more work! actually i thought that was what you were talking about, needing to block off the area where the fuselage would be. i wouldn't worry about the underside of the wing being visible. 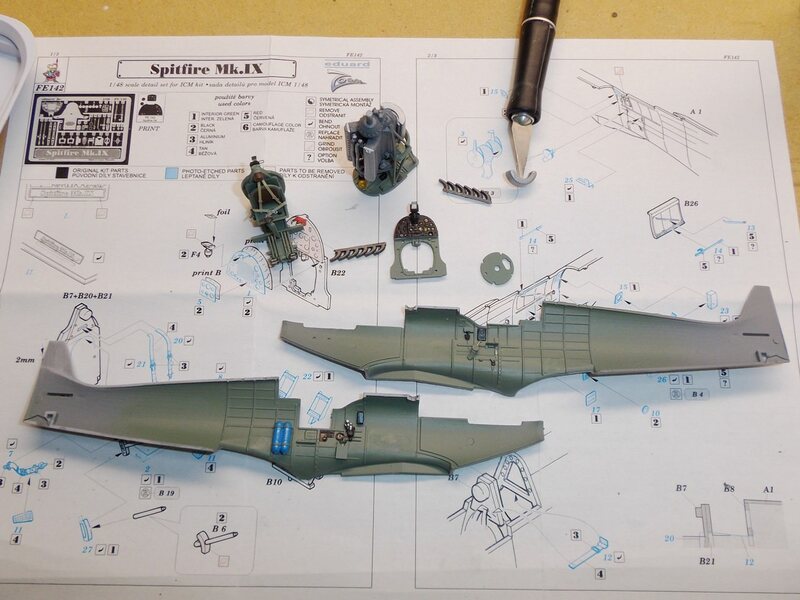 Here's my entry, Tamiya's 1/48 Spitfire Mk Vb, done as Don Gentile's mount when with the Eagle Squadron. Oh, the flaps will be in the closed position, as it will be sitting. Thanks Iain ! ! ! ! ! I can wall off the cockpit area and make this happen. Much appreciated! She is primed, but I have not set the airbrush up yet. Love that ugly airplane, I wondered how it would perform in combat. Richard, cannot wait to see her finished. 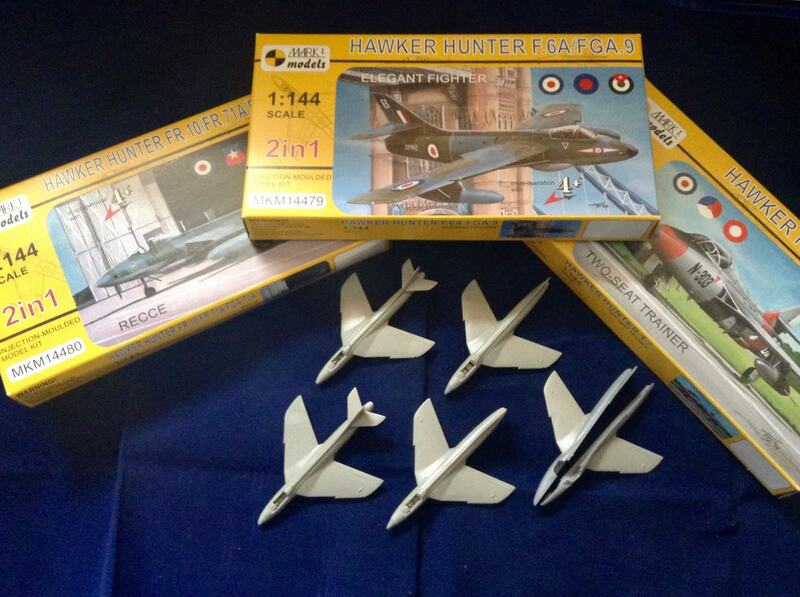 Five x Hawker Hunters, consisting of 1 x F.Mk.6A, 1 x FGA Mk.9, 2 x FR.Mk.10 and 1 x T7 trainer. No bang seats installed yet as I’m trying to find my little stash of 1/144 pilots to put in them as they will all be on a flying base once complete. Luciano, nice job you will have your own air force. I guess Fleet Air Arm bird would not qualify for the campaign? I'm tempted to try my Gloster Gladiator. Interior mostly done on my Mk. IX. Mike, nice job on the engine also. 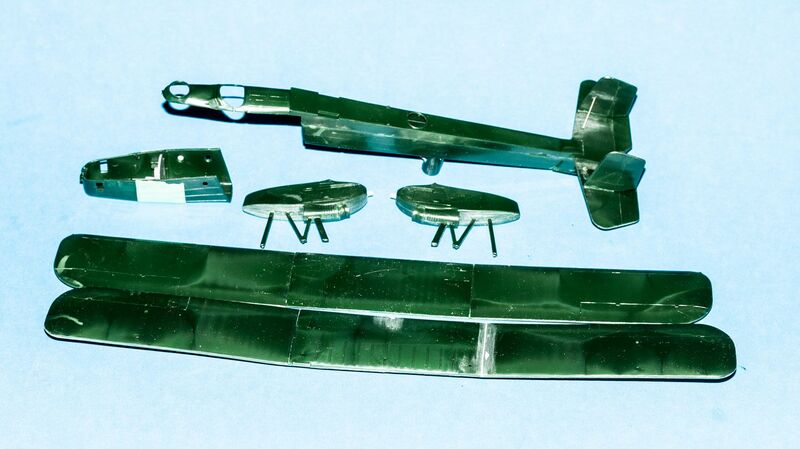 Still waiting fro my Fokker TV kit. Hmmmm curly one that ..... Sea Gladiators flew out of Malta under RAF (I believe) control with volunteers at the controls christened Faith Hope and Charity they were the only fighters to fight against the initial Regia Aeronautica onslaught you may be able to find decals for them. That's fine, I still have other British planes in the stash: Mosquito, Spitfire and Hawker Tempest. I won't be signing up yet, I need to finish the Lancaster for the Bomber campaign first.